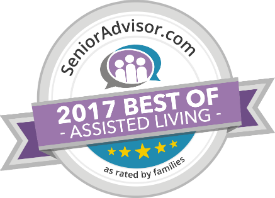 Assisted Living Rochester NY | Heather Heights of Pittsford, Inc. WELCOME TO HEATHER HEIGHTS OF PITTSFORD, INC.
At Heather Heights, Caring is Our PrivilegeTM. Read why our residents and their family members are pleased and find out why you should choose us. Many families are faced with making one of the most difficult decisions of their lives. With so much information out there in the media about Assisted Living communities, we understand how confusing making the right decision can be. Let us make it easy for you – schedule your tour today. » Book your tour | » Have more questions? | » Why us? At Heather Heights, there’s always something for you to choose from. From live entertainment, to day trip outings, to cooking club, to computer classes, to ice cream socials. Book your tour to join us for a recreational activity of your choice today. Interested in joining a company that was voted a Best Place to Work in Western New York for the past two years? If you’re highly motivated and interested in making a real difference in the lives of others, join our team of caring professionals at Heather Heights today. With Spring officially upon us, we look forward to enjoying the warmer weather and spending more time outside. Weather permitting, we will be setting up our outdoor patios and furniture for everyone to enjoy. Come experience daily life at Heather Heights. Our professional team is delighted to tour you through our community. Discuss a personalized care plan. Meet with our team to discuss what an individual care plan can look like for you or your loved one. Each plan is tailored to meet specific needs. Sample our fine dining. We happily offer complimentary meals created by our culinary experts. See our elegant dining room and be served by our wait staff. Have your questions answered. Feel free to ask us any questions you may have that will help give you peace of mind when trusting us with you or your loved one's care.